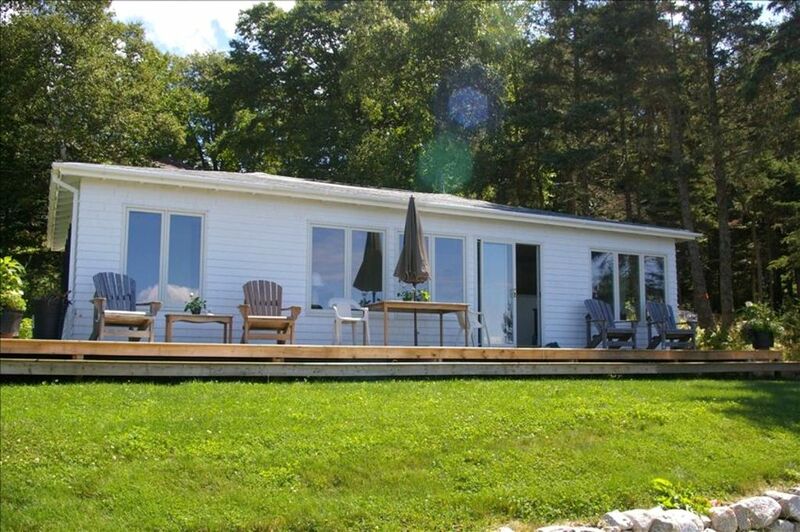 Heerlijke Nova Scotia Cottage gelegen op het strand aan het hoofd van een beschutte baai. Fantastisch uitzicht van St. Margaret's Bay en de zonsondergangen. Bezoek de historische Halifax waterkant, beroemde Peggy's Cove, World Heritage Site Lunenburg en andere pittoreske en historische Nova Scotia stadjes en dorpen. Deze eigenschap is in de nabijheid van alle voorzieningen zoals winkels, recreatie- en sportvoorzieningen. Dit huisje slaapt zes / zeven in drie slaapkamers, 3 dubbele bedden en een eenpersoonsbed in 3 kamers. Trefwoorden: Op het strand aan het hoofd van een beschutte baai met een fantastisch uitzicht op de zonsondergang op St. Margarets Bay. Bezoek de historische Halifax waterkant, beroemd Peggy's Cove, World Heritage Site Lunenburg en andere bezienswaardigheden allemaal op korte rijafstand. Thank you glad you enjoyed your stay ! Lovely stay on St. Margarets Bay! We had a great week (Aug. 19 -26, 2017) relaxing and doing a little sight seeing. Centrally located between Halifax, Peggy's Cove, Mahone Bay and Lunenburg; it's a great place to stay for doing day trips to most of what's to see in Nova Scotia. The view from the deck and most of the cottage is superb - a great spot to relax and enjoy a beer or watch the fog roll in! Nick, the owner, was easy to reach regarding instructions etc and had a small gift basket waiting for us when we arrived. The cottage was clean and stocked with all the necessities (utensils, pots, towels, linens, spices and condiments). We had four in our party, but there is room for six in three bedrooms. Our only glitch we realized during our stay was the one bathroom. You'll have to be a very close or well organized family of six to negotiate the bathroom effectively. The cottage is one level and easily accessible, a big plus for my wife's parents who joined us on this trip. I would highly recommend this cottage for a family of four, especially with small children. The single level, open floor plan and small cove and beach right outside your door would offer hours of entertainment for the kids. All in all a great place to stay and we really enjoyed our week in Nova Scotia! This cottage was very clean upon arrival. There is plenty of room and all the household supplies you would need. The view is so beautiful. We saw cloudy days, sunny days, early morning and sunsets. All gorgeous. We spent a wonderful week at this cottage. The views of the water are incredible and the property is located close to shopping, Halifax, Peggy's Cove and anywhere else you want to go. My husband and I, son, daughter-in-law, grandson and dog had a wonderful time here. The place is very clean and well equipped. We saw lots of deer! We will definitely plan to rent this spot again. We couldn't have found a more charming place on the ocean in a very convenient location close to Halifax and Peggy's Cove! We were able to relax while helping our daughter move into Dalhousie University. The gift basket left for us was an unexpected treat, we were able to eat and refresh before heading out for groceries (only 10 minute drive from the cottage). We enjoyed meeting the friendly neighbours and having campfires on the beach. The highlights were the wildlife and quiet nights listening to the ocean waves and watching the sunsets. The bonus was the White Sails Bakery down the road with plenty of gluten free treats and Montreal smoked meat sandwiches. We will definitely be planning a trip back! What a lovely stay! We arrived with our sons very late on the first night, after taking the ferry to Yarmouth from Portland. We were so pleased to find a welcome basket with wine, bread and cheese for the adults and goodies for our young boys too. The house was perfectly clean and ready for us to move right in, including towels, linens and other basic necessities. It only got better once the sun came up and we looked out on our tranquil cove, which was even more wonderful at sunset. The location was perfect for day trips around Nova Scotia from the Bay of Fundy to Lunenburg and Halifax. And having Peggy's Cove just down the road was really a cherry on top of the whole vacation. We look forward to returning one day and hope we can stay here again. Thank you to our great and gracious hosts.